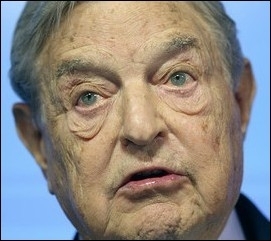 PHILADELPHIA – Aug. 16, 2016 – An anonymous website (dcleaks.com) released over 2,500 confidential files from George Soros' Open Society Foundations (OSF) on August 13, shedding light on the hedge fund billionaire's funding of anti-Israel and pro-Islamist organizations. The leaked files include an internal memo from 2011 titled "Extreme Polarization and Breakdown in Civic Discourse." It discusses a $200,000 OSF grant to the Center for American Progress (CAP) to "research and track the activities" of the Middle East Forum and other NGOs working to combat the spread of radical Islam in America. Sure enough, in 2011, CAP published a 138-page report, Fear, Inc.: The Roots of the Islamophobia Network in America, which condemned Middle East Forum President Daniel Pipes as a "misinformation expert" whose "alarmist rhetoric" encourages anti-Muslim stereotyping, charges repeated in a follow-up report in 2015. The Soros-funded CAP assault on the Middle East Forum is part and parcel of its support for American Islamist groups. Thus, the Muslim Brotherhood-affiliated Council on American-Islamic Relations (CAIR) is hailed in Fear, Inc. as a "civil rights group." In 2013, CAP issued a report asserting that the "basic tenets of Sharia" are "familiar to any Christian or Jew: faith in a single god, prayer, charitable giving, and fasting." CAP is an organization with annual revenue of $45 million, close ties to the Clinton family (it is "not completely wrong to see it as ... a White House staff in readiness for President Hillary Clinton," according to Robert Dreyfuss, contributing editor at the left-wing Nation magazine), and a list of corporate donors a mile long. Unlike CAP and many other think tanks, the Middle East Forum does not accept "pay-to-play" donations from the corporate world or receive grants from foreign governments. We reaffirm this commitment even as we combat well-funded Soros minions trying to silence our voice.